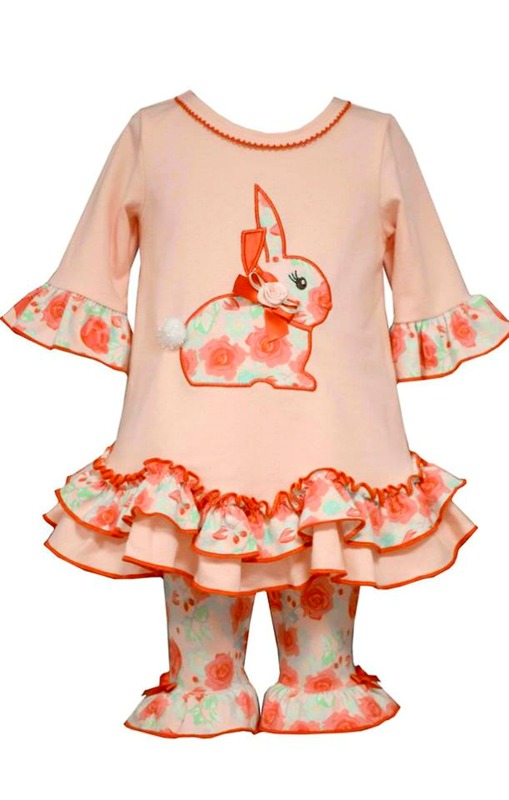 Adorable soft peach legging set features large floral appliqued bunny on ruffled tunic with stretch leggings with floral ruffled cuffs. Machine wash. Perfect for a visit to the Easter Bunny and so precious!